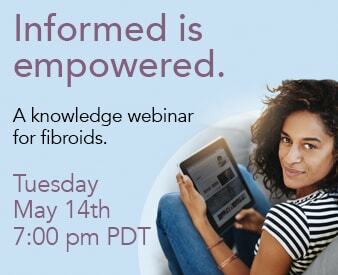 Share the post "How To Determine if You Have Fibroids"
Suspect that you may have fibroids and curious to find out how you can know for sure? Read on to learn what steps you can take to confirm the presence of fibroids. Several of my family members have fibroids and I’m afraid that I might have them. I often experience painful periods, but how can I know if I actually have fibroids? Fibroids affect 40% of women over 35 years old in America and have a high rate of incidence among African Americans. There has yet been a link between fibroids and genetics, however it has not been ruled out as a determinant factor. If you are experiencing symptoms related to fibroids such as pelvic pain and pressure, excessive bleeding, including prolonged periods and passage of clots, abdominal swelling, pressure on the bladder, and pressure on the bowel then it is likely that you may have fibroids. A sure way to find out if you have fibroids is by getting an ultrasound or an MRI. Patients with fibroids will undergo an ultrasound in their gynecologist’s office as part of the process to determine if fibroids are present. Magnetic Resonance Imaging (MRI) is also used to determine if fibroids can be treated with embolization and provide information about any underlying disease. MRI is the standard imaging technique for evaluating fibroids because it provides a clearer image than ultrasound and can detect other causes of pelvic pain and/or bleeding you may be experiencing. Here at FTC you have the option of receiving a FREE phone consultation with Dr. Bruce McLucas or a one-on-one consultation with the doctor, allowing him to better assess your individual situation. If you would like to find out more information about fibroids or Uterine Fibroid Embolization, please feel free to email us at Contact Us Online or call the Fibroid Treatment Collective at 866-362-6463.